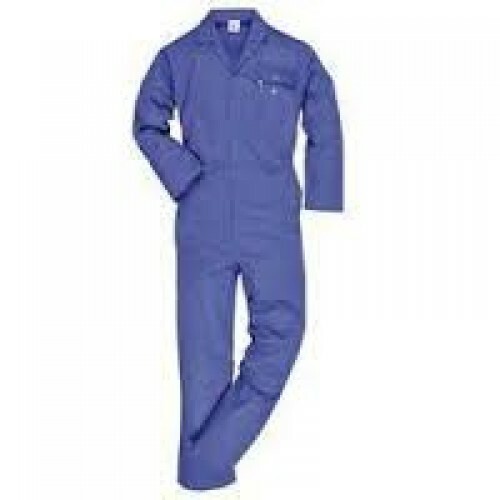 We hold expertise in offering a wide range of Boiler Suits, which is available in an array of colors like royal blue, beige, green, grey, light blue, sky blue, petrol blue, navy blue, orange, red, white, yellow and khaki. Manufactured using 100% Cotton and 65/35 poly cotton, these suits are developed in adherence to EN 340 standard. These are offered in various designs and sizes, as per the dimensions provided by the clients. Made from thick, drilled cloth.